Here’s another tintype I acquired. What is your opinion?I say there is not a single lady on this particular one. However, I could be wrong. I will state why I think the two women looking subjects in front are in fact male. You can click on the second photo for a large detail and tell me your own opinion. You’ll be surprised to discover how open minded the working class (in general) was in large cities. Probably more so than 50 years later. The two in front could have lived their lives in the open -with some backlash, but it could have happened. The men of high class society were the ones to actively hide their preferences, hiding in brothels like Paresis Hall in N.Y for example, and for many obvious reasons. Physically the one on the left has a huge head, yet isn’t large of body. Well, there are women of many sizes and faces, the possibility is still there…but no, I don’t think these two are. I say all three subjects are male, I’m 99% sure. What do you think? If you’re interested in the history of gay norms and acceptance, a great book I’ve read as part of research for my book is: Gay New York. Gender, Urban Culture, and the Making of the Gay Male World, 1890-1940. 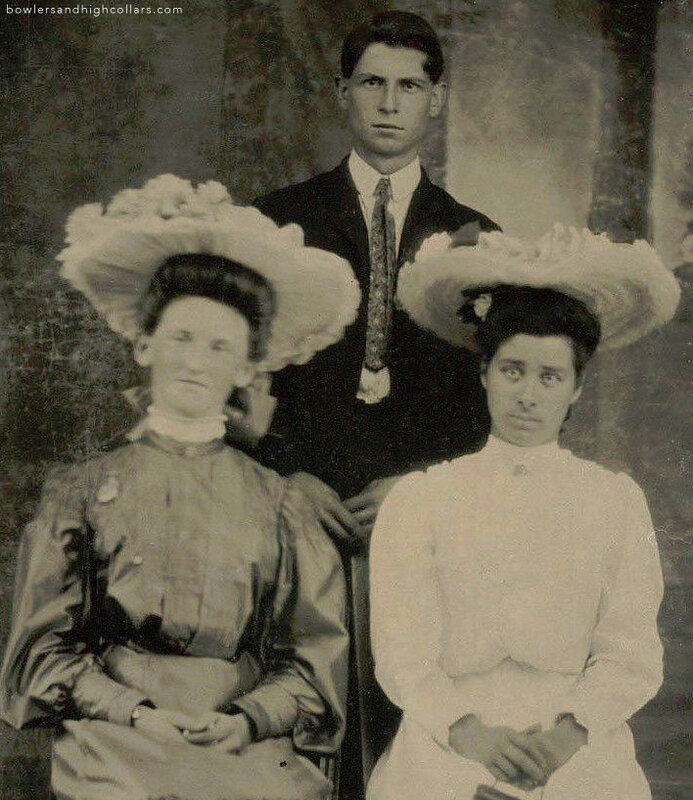 This entry was posted on Sunday, March 22nd, 2015 at 4:42 pm	and tagged with 1/6th plate, 1900s-1910s, cross dressing, edwardian, Funny, gay and posted in Gay Interest, Tintypes. You can follow any responses to this entry through the RSS 2.0 feed. Ha ha! The wife would be quite disturbed, I’m sure. And about the styles *sigh* I understand thoroughly!